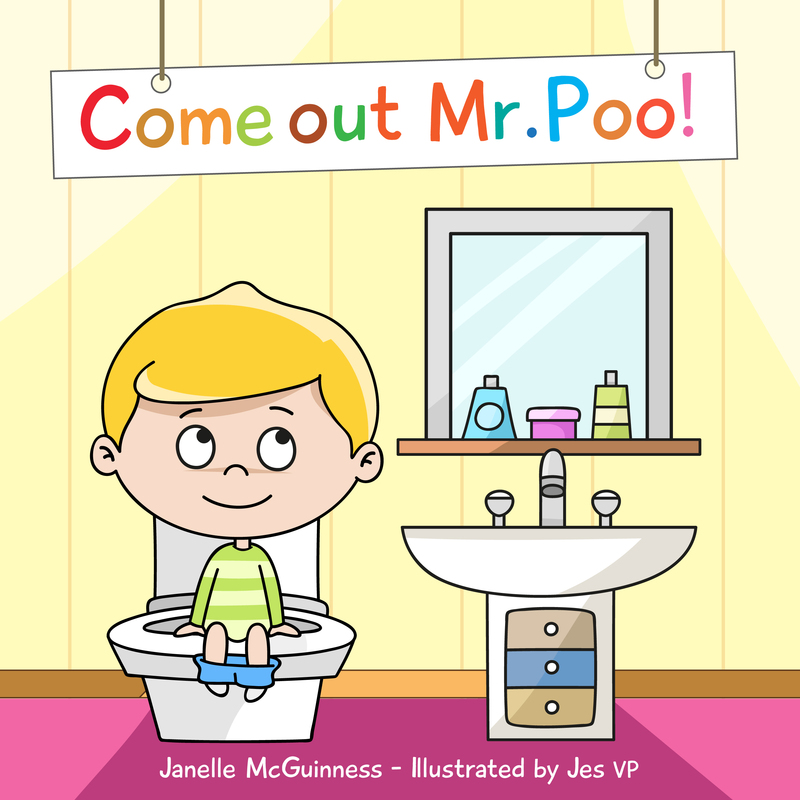 This delightful and funny book will help your child get ready for doing number twos on the loo. Perfect if your child is showing concern about transitioning out of nappies. This encouraging story shows how they can become a 'big kid' and that there is nothing to be afraid of. Full of colourful, fun illustrations and written in verse, this is a favourite for parents and children alike. Title: Come Out Mr Poo! Janelle's goal is simple, to write children's picture books that kids enjoy, help parents, are fun and don't take themselves too seriously. She discovered her passion for writing children's picture books when her children started demanding more and more of her fantastical bedtime stories. Janelle wanted to share with other kids the fun and excitement her children experienced listening to her creations. She hopes your family enjoys her books as much as she has enjoyed writing them. BUY Come Out Mr. Poo!